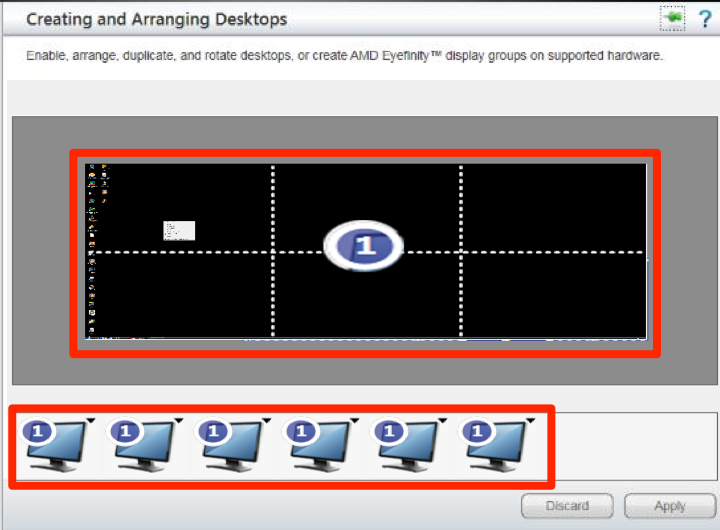 This article provides the instructions to configure, add, and remove advanced channels, previously known as a sign. Advanced channels offer features such as scheduled content playback, multi-zone layouts, custom resolutions, and advanced interactive experiences. All of which can be viewed through the Appspace App. Our WYSIWYG editor lets you create multi-zone layouts, include data sources, custom scripting, and add interactive behavior. With advanced channels, you can create informative dashboards, menu boards, directories, touch and device driven experiences, and much more. In the Advanced Channel section, click CREATE, and enter in the name of the advanced channel. Click the Edit tab to access the layout(s) for this channel. To add an additional layout, click the ADD button, and enter in the layout name. Click the Visual Editor button to launch the Visual Editor. Click ADD WIDGET to add widgets. Please refer to the Managing Widgets article. To configure the widget properties and permissions, and add content or event actions. Please refer to the Configuring Widget Properties article. To schedule your layouts. Please refer to the Scheduling Layouts article. Click the Action tab to add an event action to your advanced channel. Please refer to the Adding a New Action section in the Managing Event Actions in Applications article. Click the Preview tab to preview your advanced channel. You may click the Preview device link for a full screen preview with a better quality and resolution. 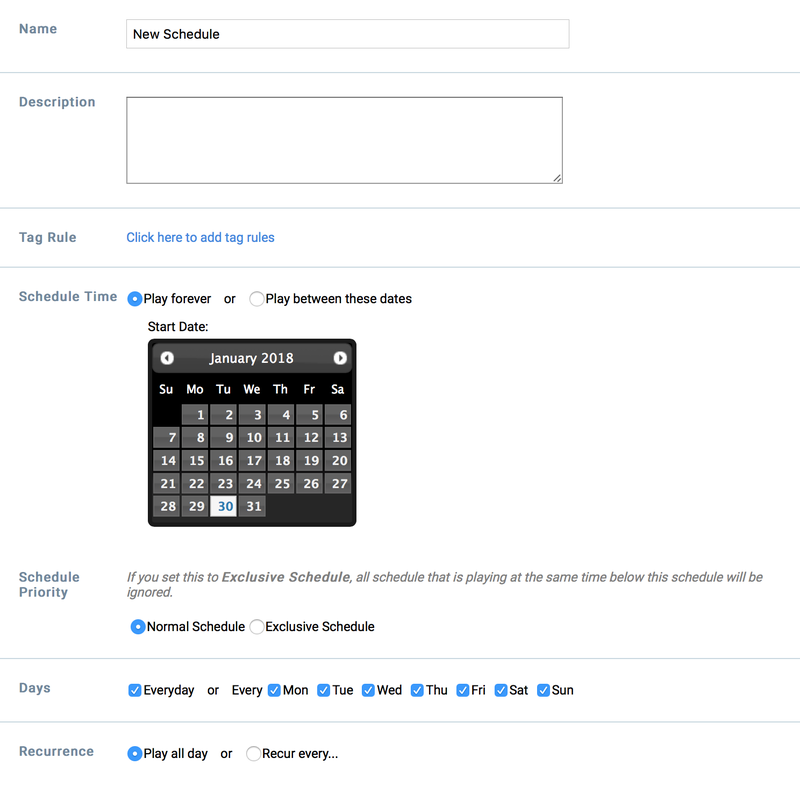 Select a desired date and time to preview the layouts scheduled on the selected date and time. Click the date calendar and clock slider respectively. Live stream content may not display in preview, as web browsers may not be installed with the necessary codecs to play the live stream. Refreshing the browser when preview is in full screen, may cause the preview screen to stuck on the loading screen. Edit the Name of the advanced channel. Manage the advanced sign permissions. Please refer to the Managing sign permissions article. Enable Public Access via web browser for the channel. Enable Layout Scheduling to the channel. Enable content Approval Notification via email for the channel. Configure the list of custom properties for the channel. 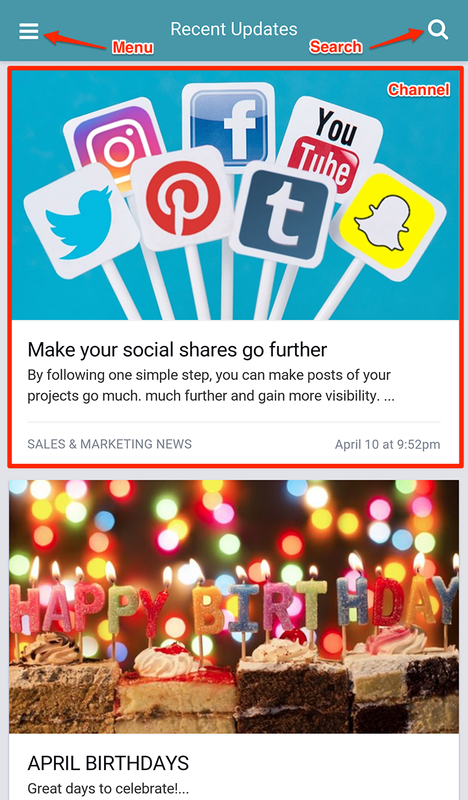 To make an advanced channel interactive, you can create an event that is triggered upon an action, from a widget or on an advanced channel layer. For example, when you click a button on your application, the action triggers a switch to the next layout. Add an Event Action (action script) to your widget. Please refer to the Adding a New Action section in the Managing Event Actions in Widgets article. 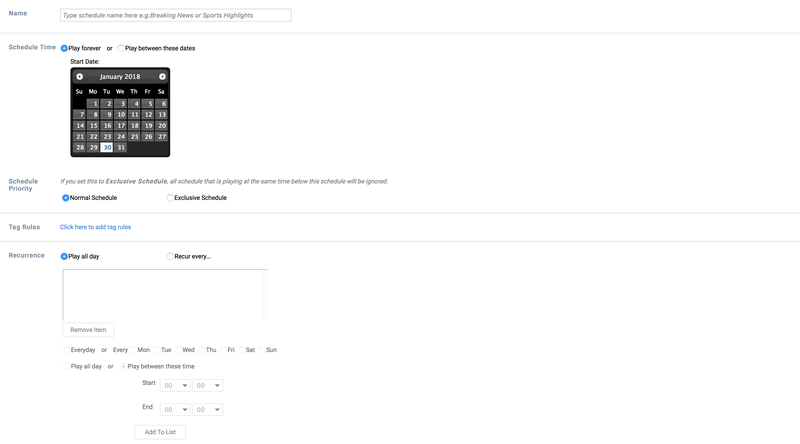 Add an Event Action (action script) to your advanced channel. Please refer to the Adding a New Action section in the Managing Event Actions in Applications article. Select the desired advanced channel, click the Ellipsis and select Copy. The channel will be copied with Copy appended to the channel name. Select the desired advanced channel, click the Ellipsis and select Delete. Click OK to confirm. The channel will be deleted.